Along the Brandywine: Emma Week Tag Answers – A Guest Post from my sister! Emma Week Tag Answers – A Guest Post from my sister! So—without more ado—here are her tag answers! 1. Have you ever read Emma? ~ No, I haven’t yet. 2. If so, is that how you first made her acquaintance? (If not, feel free to elaborate!) ~ I first made her acquaintance by my older sisters and watching the ’96 (Gwyneth Paltrow) Emma. 3. Do you have a favorite film adaptation? ~ The 70’s is probably my favorite, but my second favorite is the ’09! 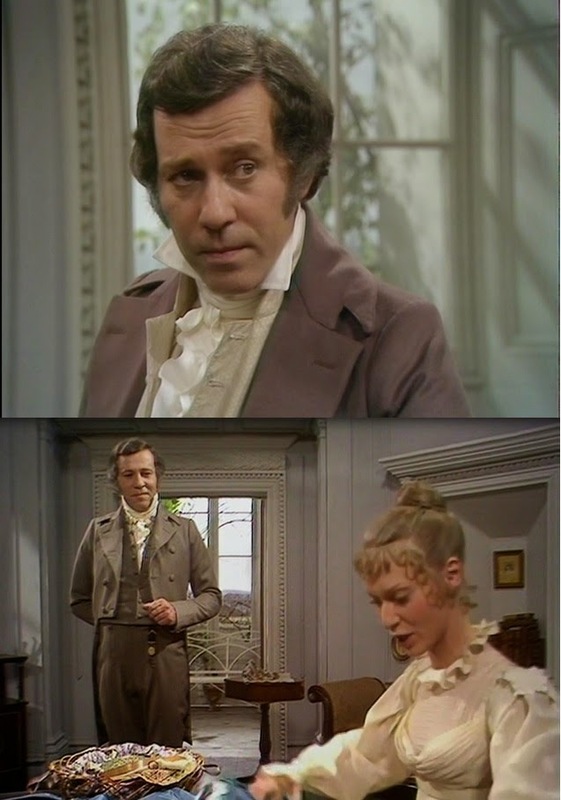 A bunch of the dresses in the 70’s Emma are in the 80’s Pride & Prejudice, too. 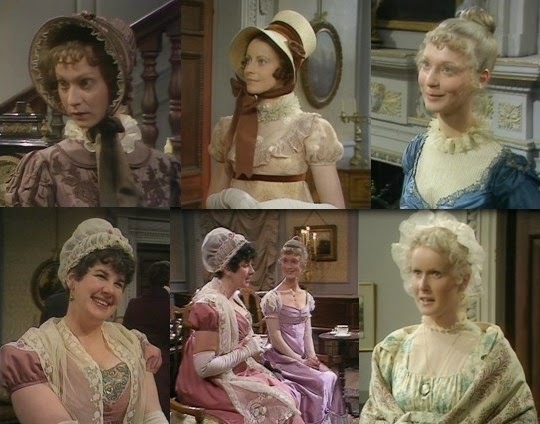 In the pictures here, Jane wears the pelisse Emma’s wearing (top left), and Miss Bingley wears the lilac dress Emma’s wearing (bottom middle), and the dress that Harriet’s wearing (bottom right) Lydia wears. I like this one, because this one has a lot of neat dresses. The purple-blue lattice dress Jane Fairfax is wearing (top) Jane wears in the ’09 and the blue striped dress Emma wears with the puppies and calling on the Bates (bottom left) Emma also wears in the dark-haired (Kate Beckinsale) Emma. My favorite dress in here is probably the one Emma is wearing at the bottom left (between Harriet and Mrs. Elton), and Jane Fairfax’s one she’s wearing with spots runs a close second. I really like all these dresses! I can’t really say what my favorite is, but I kind of think Emma’s red dress (with the green sash) and her gold dress on the bottom and Mrs. Elton’s orange dress in the middle. 6. Is Emma one of your favorite heroines? Why or why not? ~ Yes, she is! I think it’s because she is so interactive with everybody. 7. What is one of Emma’s strengths (good qualities)? ~ She’s willing to change her opinions. 8. Describe in one (or two…or three) sentences, why Mr. Knightley is so wonderful. ~ His interaction toward Emma and he cares for people. And he’s always a gentleman. 9. Why do you think Mr. Knightley and Emma are so well suited to each other? ~ Because they fit each other so goodly, and their temperaments (well, Emma’s character changes) go together so well, and (if you didn’t have the scene at Box Hill) the whole story wouldn’t work. 10. Would you rather spend a week in Highbury with the Westons—on Abbey-Mill Farm with the Martins—or in London with the John Knightleys? ~ Ummm. The John Knightleys, most likely. But it switches back and forth between the Westons. And here are some of my favorite characters! And I like the Isabella in the ’09 Emma a lot. Hello Heidi's-sister! So nice to 'hear' from you! :-) Oh, I love all those collages of the dresses, and all your answers. :-) I'm pleased to hear that you enjoy the 2009- because that's my personal favourite. :-) I love all the pictures in the post - You chose some nice ones! :-) Thanks for the post! First off... you're eleven? And you're loving Jane Austen movies? High-fives for you, your older sister, and your parents! 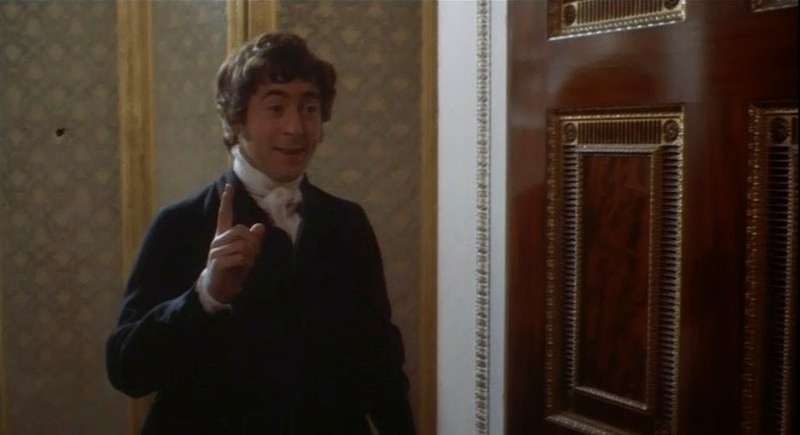 I wish I'd been watching Jane Austen movies when I was eleven. Very, very cool. Second, how cool that you know about different costumes getting used in different movies! I find that fascinating, maybe because I kind of don't pay much attention to costumes a lot of the time, but wish I did. Finding things get reused is fascinating to me! So thanks for sharing that.